Welcome to Guinness World Records’ “Read Big. Dream Big.” literacy programme. 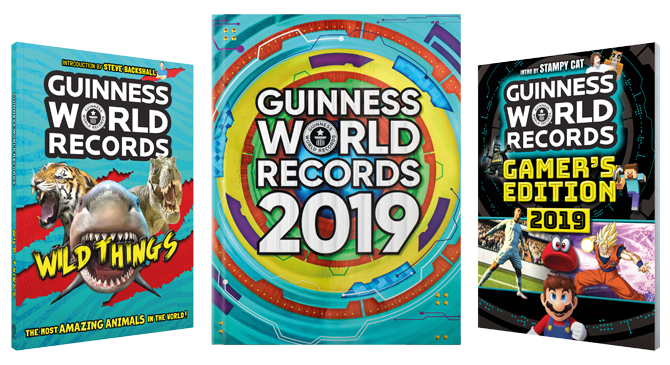 Using brand-new content from the Guinness World Records 2019, Wild Things and the Gamer’s Edition 2019, this assembly and classroom resource helps schools use our books to inspire pupils, aged 7–11, to set ambitious goals while developing their reading, writing and speaking skills. See T&Cs for further details. 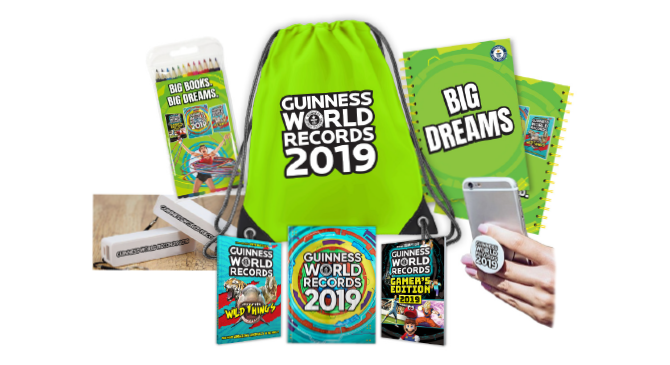 The winning pupil will receive a tablet and GWR goodie bag including a funky bag, colouring pencil set, Big Dreams notepad, portable charger, pop socket and copies of three Guinness World Records books. The whole class will also receive a goodie bag and three Guinness World Records books each.